Humans have always had a fascination with the sky and stars. There really is nothing more vast, interesting, or relaxing than staring up at the bright moon on a beautiful, clear night. This is something that people have been practicing for millions of years. However, as time has advanced inventors and astronomers have developed newer and better ways to view the stars and constellations. The invention of the telescope really made the viewing process more exciting than ever. With a telescope user really explore the universe in a more intimate manner. Of course, as time has gone on the telescope has been refined with new lenses, attachments, and other exciting features. Whether you have been into telescopes for years or are looking for the best amateur telescope, there are without a doubt now a lot of considerations that you have to make before choosing one. Most people start with the price. Telescopes are available in a variety of price ranges, but it is entirely possible to acquire a quality telescope under 200 as long as you know what to look for. Throughout your quest, you will find that telescopes come in a variety of forms. However, there are three general types available on the market. This would be the refractor telescope, the reflector telescope, and the compound telescope. The Refractor Telescope – The refractor telescope uses lenses to collect light. The refractors are probably the most simplistic and reliable amongst the three and they require the least amount of maintenance. They are excellent for nighttime viewing, but with the right accessories, they can be utilized for terrestrial viewing. The optical system on these telescopes is nothing more than a straight line, but this adds to their simplicity. With this type of setup, you never have to worry about obstructions from secondary mirrors. The only downside to the best refractor telescope under 200 is that it will be heavier due to the lens systems. The Reflector Telescope – The reflector telescopes are without a doubt more affordable than the refractor, but you will notice that they require more maintenance. And, most of this is due to the way that their optics are set up. The optics can easily fall out of alignment. This type of telescope gathers light by utilizing a curved mirror located at the back end of the telescope’s tube. There is also another mirror located at the front of the telescope. In order for the telescope to get the light to the side-mounted eyepiece, it has to bounce it off the front mirror and send it to the curved back-mounted mirror, which then directs it to the eyepiece. With the setup of the mirrors, users really can view a lot of things that the refractor might miss. The Compound Telescope – The compound telescope offers the best of both worlds because it utilizes both lenses and mirrors to gather light. The compound telescope without a doubt makes for the best travel telescope due to its compact size and setup. The ways this telescope produces light is quite complicated because it utilizes both lenses and mirrors. Basically, the light enters through a thin correcting plate, reflects off a primary mirror located at the back of the tube, and it is then again reflected off a smaller secondary mirror, which is located behind the front corrector plate. While the optical configuration is quite complex, it does make the telescope extremely portable and virtually maintenance free. 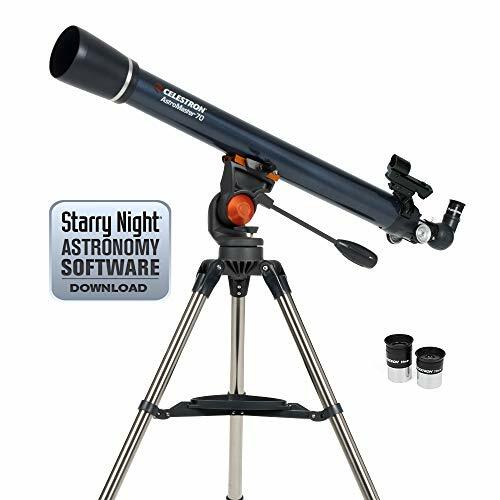 Before you just run out and start searching for the best telescope for astrophotography, you really need to familiarize yourself with some of the industry lingoes. You will hear these terms over and over when you reading or learning about telescopes, so get to know them. Aperture – When you hear someone talk about aperture they are basically referring to the diameter of the primary lens or mirror. This is extremely important for light gather purposes and producing detailed viewing. The larger the aperture, the more light you will be able to collect, which means you are going to be able to view fainter objects with smaller features. This is what would give you the ability to see the craters on the moon. Focal Length – Focal length is also another term that you are going to hear a lot about and it basically refers to the distance between the primary lens/mirror and the point where the object is brought into focus. This is extremely important because it will determine how well the telescope magnifies certain objects. A telescope with more focal length and shorter eyepiece focal length will provide you with more magnification. A Finder – A finder is basically just an attachment that sits on the telescope. It is a good idea to have one because it will make locating objects in the sky much easier. Trying to locate certain objects in the sky at high magnifications can be difficult, but the finder will assist with locating your object, so you don’t have to keep adjusting the magnifications over and over. When shopping for a telescope, you must always consider the glass, which is basically what the lenses are made of. Most basic models are already equipped with optical glass, which is superior to conventional glass, but it may not provide the exact quality that you are seeking. Higher end telescopes come equipped with an extra-low-dispersion (ED) or fluoride glass, which is capable of producing clear and crisp images like you would not believe. Due to the fact that the earth rotates when you are viewing objects in the sky, it will appear that they are actually moving. This means that to keep it in your field of view you will have to adjust the telescope accordingly, and this is where mount comes in handy. There are two basic types. The Alt-Azimuth and the Equatorial (EQ). Alt-Azimuth – This is the most basic type of mount on the market. It is reliable, but it will require you to manipulate the axis as you are following objects in the sky. EQ – The EQ mount is much more precise and intricate because it utilizes two axes. One will control the declination, while the other will match the curvature of the earth. If you are looking to embark on your voyage across the universe, you really have no better option available to you than the Celestron PowerSeeker 127EQ Telescope. 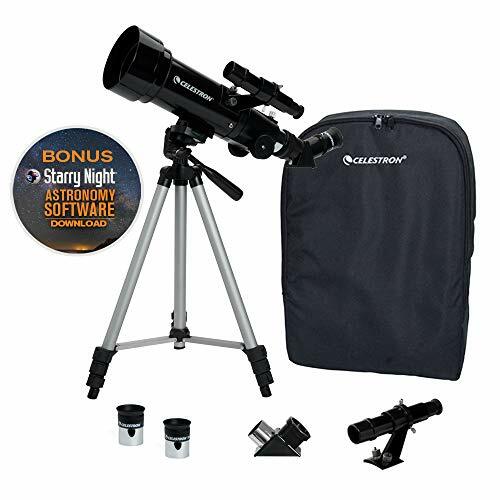 This reflector telescope comes equipped with all the essential features and more, but its simple design makes it perfect for the beginner. 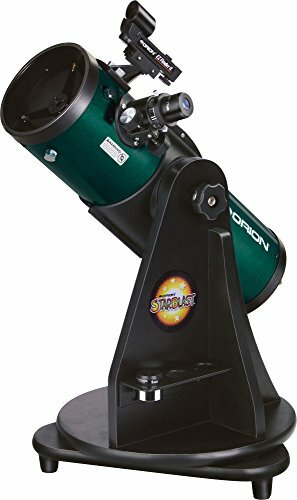 Most people don’t really realize that when viewing objects in the sky you have to move your telescope along with the objects. This is due to the fact that the earth rotates. This is where the mount comes in handy and the Celestron PowerSeeker 127EQ Telescope is equipped with a sturdy equatorial mount with slow-motion control knobs. This allows you to quickly, smoothly, and easily track objects as they drift across the sky. When you invest in the Celestron PowerSeeker 127EQ, it is almost like you are investing in four eyepieces. You get a 20mm and a 4mm eyepiece plus a 3x Barlow lens. The lens triples the power of each eyepiece and gives you the ability to view those celestial objects that might be out of reach of other telescopes. If you are looking for a great telescope that you can utilize in the comfort of your home, you will not beat the Celestron PowerSeeker 127EQ. Do not be fooled by its low price tag, because it will provide the necessities to see faraway objects clearly. If you were looking to take your star-viewing experience on the road, you would be wise to invest in the Celestron 21035 70mm Travel Scope. This 70mm refractor telescope comes equipped with fully coated glass optics that give you a crystal clear view of the objects in the sky, but this is just the start of what this amazing telescope has to offer. When you invest in this amazing telescope you really do get everything that you need plus more. Not only do you get a 20mm and a 10mm eyepiece, but you also get a handy little backpack. The backpack will store the telescope and all its accessories so that you can take your show on the road. Hiking up a mountain and getting a great view of Saturn won’t be a problem with this amazing telescope. With a custom backpack and a lightweight frame, the Celestron 21035 70mm Telescope makes the perfect travel companion. When you look at everything the Celestron 2106 AstroMaster 70AZ Refractor Telescope has to offer, it really is easy to see why most beginners prefer this model. Heck, there are plenty of experts out there who enjoy this telescope as well. 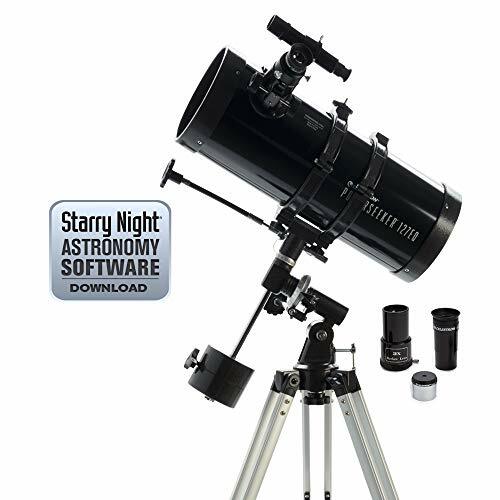 With its plentiful features, you can easily achieve sharp, clear images of Saturn, Jupiter, and the moon. Who wants to spend hours assembling their telescope? This is especially something you want to avoid when you are on the go. Well, when you invest in the Celestron 2106 AstroMaster 70AZ Refractor Telescope this is something that you will never have to worry about. The dovetail attachment system really makes the whole set up quick, easy, and tool-free. If you want to take your star-viewing experience to the next level, you must consider investing in the Celestron 2106 AstroMaster 70AZ Refractor Telescope. 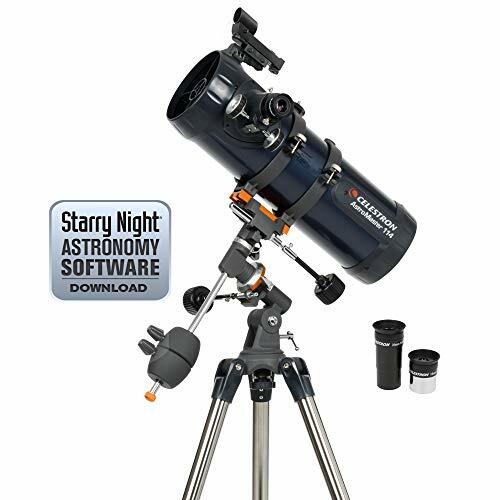 With a quick and easy setup and an equatorial mount, the Celestron 31042 AstroMaster 114 EQ Reflector Telescope really provides everything that the beginner or expert astronomer needs. And, this is just the beginning of what this amazing product has to offer. Without a good sturdy foundation, it is going to be hard to track objects through the night sky. And, this really is where this product excels, as it comes with a 1.25 steel tube tripod. The tripod is preassembled and is rugged enough to handle the most strenuous situations. Whether you are star viewing on the road or at home, the Celestron 31042 AstroMaster 114 EQ Reflector Telescope is the perfect tool. If you are in the market for a telescope that you can pick up and take anywhere within a moment’s notice, you have to consider the Orion 10015 StarBlast 4.5 Astro Reflector Telescope. This compact little telescope might be small, but with a substantial 4.5-inch aperture and an f/4 focal ratio, you can produce big-time images. When you get this scope it comes pre-assembled right out of the box. You don’t have to waste a minute putting things together or reading an instruction booklet. You can start your viewing experience right away. When you combine this with the low thermal expansion borosilicate glass lens, you are truly looking at one capable telescope. At the end of the day, you can say that this handy little telescope will provide the crystal clear viewing experience that will satisfy the entire family. And, it doesn’t hurt that it comes pre-assembled and was designed with quality assurance in mind.